A stunning, heartbreaking debut - `We Are Not Ourselves' is both the intimate story of a family and an epic of the American Century. Eileen Leary wants more. Raised in a downtrodden area of new York by hard-drinking, Irish immigrant parents, she dreams of another life: a better job, a bigger house, more respectable friends, a happy family. When she meets Ed Leary, a brilliant young scientist, she thinks she's found the perfect partner to pursue and share her American Dream with. An indefatigable love enters Eileen's life - but so too does a pervasive darkness and a loss that will last a lifetime. 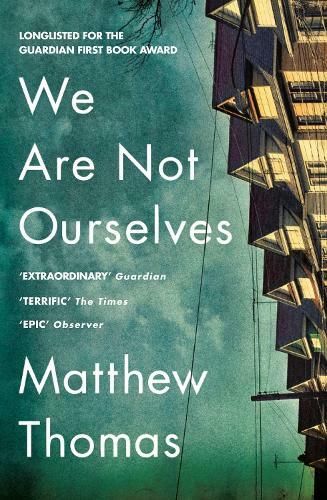 We are Not Ourselves by Matthew Thomas was a book given by Waterstones for review.